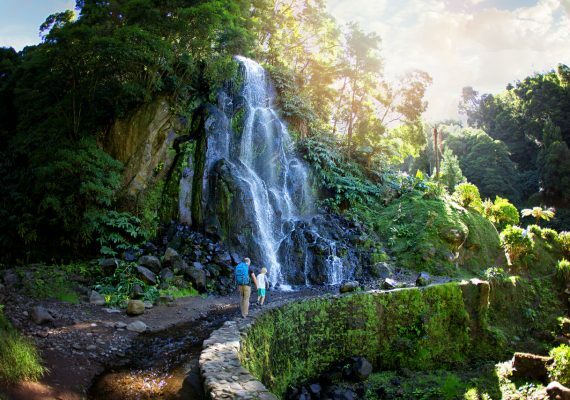 As the founder of the travel site Our Whole Village, Patty Monahan is already an excellent resource for recommendations on traveling with kids. But if you’re heading to Madrid, she’s an especially good person to chat with: Patty spent four years living there with her family and knows all the best spots. 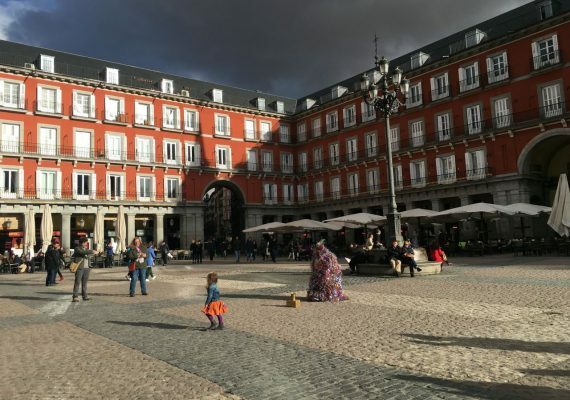 In this Hometown Guide, Patty shares her favorite ice shops, photo ops and other tips on living la vida local in Madrid for kids. HI PATTY! COULD YOU PLEASE INTRODUCE US TO YOUR FAMILY? Hello! We’re definitely a multicultural family. I’m from Sao Paulo, Brazil; Sofia (9) and Julia (7) were born in Washington, D.C. and their dad was born in Caracas, Venezuela. We currently live in Birmingham, Michigan after spending 8 years in Washington, D.C. and 4 years in Madrid, Spain. WOW, YOUR FAMILY HAS BEEN ALL OVER. WHAT DO YOU DO FOR A LIVING? I am the founder of Our Whole Village, a travel company that organizes meaningful family adventures. EXCELLENT. LET'S TALK ABOUT YOUR TIME LIVING IN MADRID–WHAT'S YOUR FAVORITE NEIGHBORHOOD AND WHY? In Madrid, we absolutely loved hanging out around Chueca and Malasaña, two very cool and family-friendly neighborhoods. 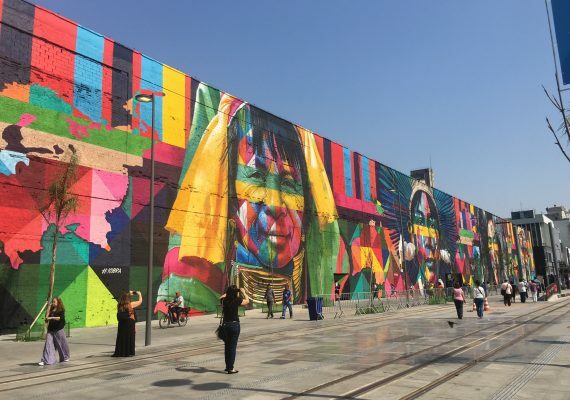 They offer plenty of quirky cafés, hip restaurants and playgrounds surrounded by laid-back terrazas (outdoor dining areas). ARE THERE ANY PARTS OF MADRID YOU DON'T LIKE? WHAT'S OVERRATED? I do not like Puerta del Sol—the very center of the radial network of Spanish roads—at all! It is super busy and filled with obnoxious sellers dressed as cartoon characters. SOUNDS SUPER TOURISTY. WHAT'S YOUR FAVORITE SPOT TO TAKE OUT OF TOWN VISITORS? 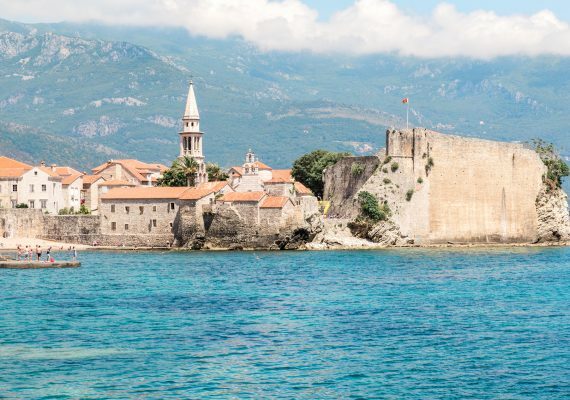 We loved walking around downtown and discovering the city through its history and food. A visit to the Royal Palace, a stop for snacks at San Miguel market and churros at San Gines for dessert were always included in our outings with guests. 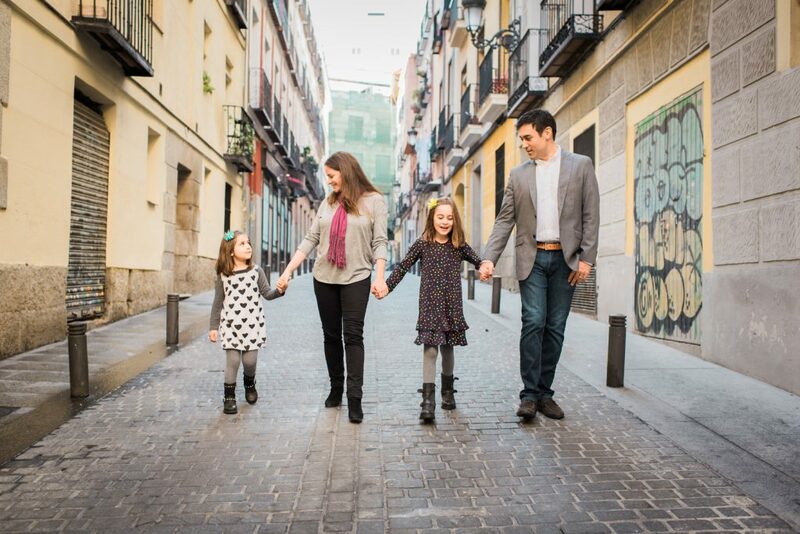 WHAT'S YOUR FAVORITE ACTIVITY THAT OTHER PARENTS MIGHT NOT THINK ABOUT DOING IN MADRID WITH KIDS? 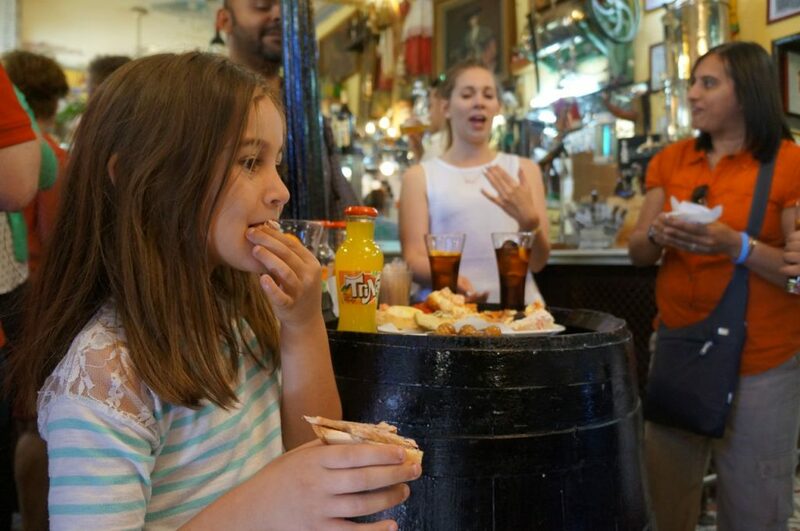 I’d recommend taking a food tour in Madrid with kids. 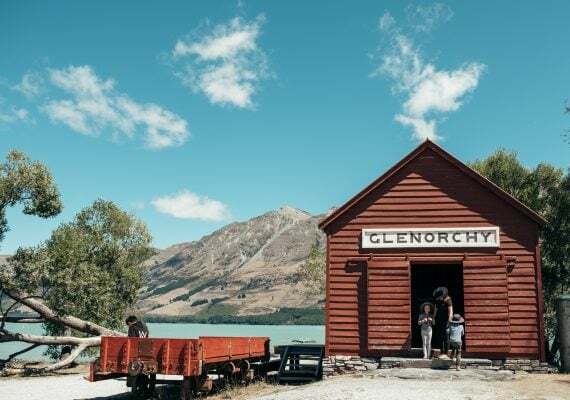 We always found those to be a fun way to explore the city because they get the kiddos moving and you can find something tasty for everyone to enjoy. There’s also a great museum called Caixa Forum that’s close to the major landmarks. They often have great exhibits for kids! 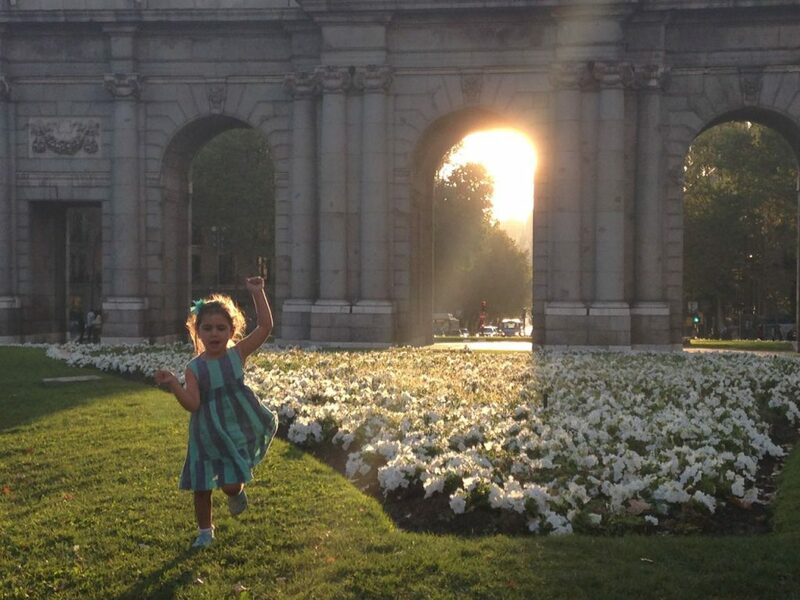 WHAT ARE YOUR KIDS' FAVORITE THINGS TO DO IN MADRID? My daughters loved the Retiro Park, especially exploring the Crystal Palace, feeding ducks at the lake and searching for the peacocks. We also enjoyed taking scooters, bikes or skates to the park, and often rented 4-passenger family bikes by the Northeast entrance. WHAT'S YOUR KIDS' FAVORITE PLAYGROUND? There are so many playgrounds around Madrid for kids! The coolest, however, is Madrid Rio. The most popular play zones include the tree trunk jungle, a zip-line and the slides hill, which has at least eight slides of varying heights and lengths. During warmer months, bring along bathing suits or extra outfits to enjoy the urban beach. SOUNDS FUN! WHERE CAN KIDS FIND THE BEST ICE CREAM IN THE CITY? Our girls loved Fredo, Fredo. The good news is that they’re a chain, with one store right next to San Miguel market. 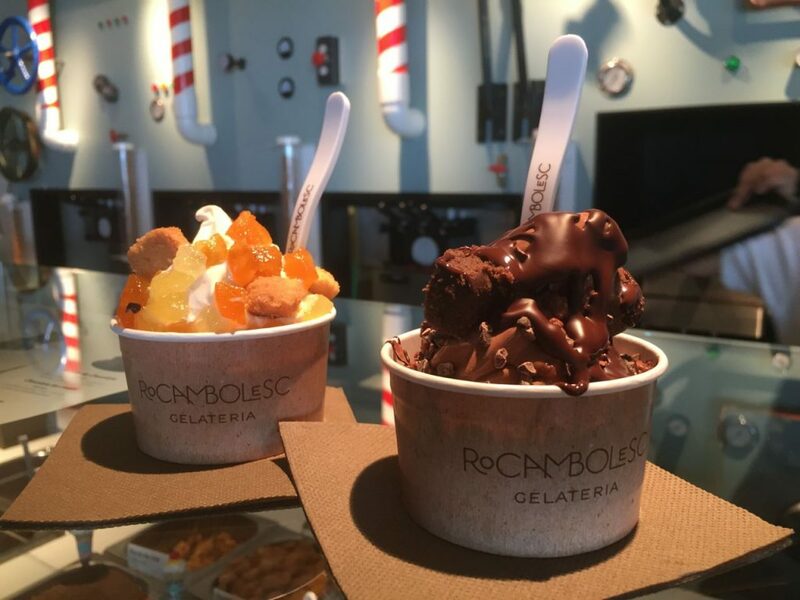 The parents preferred Rocambolesc, a gourmet ice cream stand located at El Corte Inglés Gourmet Experience and inspired by the acclaimed restaurant El Celler de Can Roca. So good! DID YOU HAVE A FAVORITE SPOT TO GRAB COFFEE? Toma Café has the best coffee in town! DID YOUR FAMILY HAVE A GO-TO RESTAURANT IN MADRID? So hard to pick one restaurant in Madrid! Botin is a classic, and a great option for out-of-town guests who want to try cochinillo (pork) and cordero (lamb). Lateral is a good family-friendly spot for a modern take on tapas. For those willing to hop on a cab and get out of the city center, Filandon was our family favorite. It serves top quality seafood in a beautiful countryside setting. Parents can enjoy a nice meal and savor a glass of wine while the kids run free and explore the playground. It’s expensive, but the food and service are outstanding. And you might run into famous soccer players. THAT SOUNDS LOVELY. WHAT'S YOUR FAVORITE PHOTO OPPORTUNITY IN MADRID? As you cross Calle de Alcala from Salamanca to the Retiro Park, stop at the median for a shot with the Puerta de Alcalá—the Neo-classical monument that once was a gate to the old city walls. The Royal Palace is a pretty sweet stop too. ANYTHING ELSE PARENTS SHOULD KNOW ABOUT MADRID FOR KIDS? Madrid is rich in culture and buzzes with energy, and yet it’s easy to get around and therefore totally tackleable with little ones. 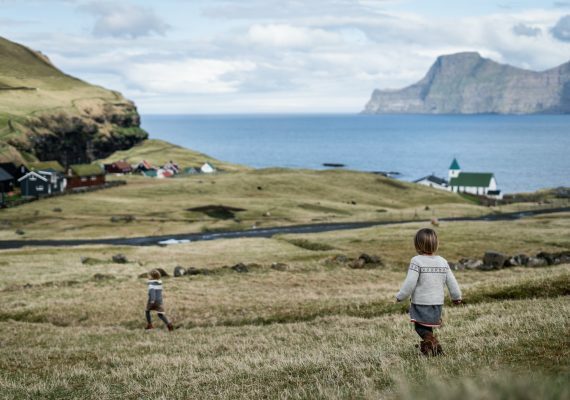 Kids are welcome just about anywhere—museums, restaurants, cafés, shops—and you will find them out late with their families. There are so many things to do in Madrid with kids. Heading to Spain on holiday? Check out our travel guide to Spain for families.